My family makes an annual pilgrimage to Disney World every winter. 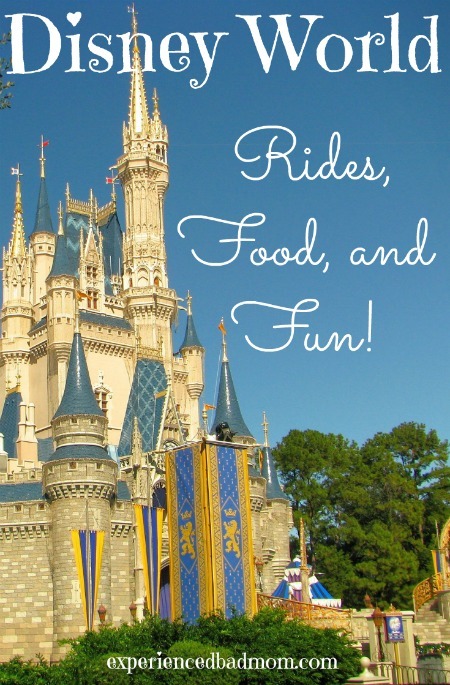 It’s five fun-filled days of traipsing around the parks and remarking how temperatures in the 60s feel like summer to us, even as every Floridian we see is wearing a winter coat! This year there were no Hawks of Death or indecent groping of characters, yet we still made plenty of memories. Which I will now subject you to! This was the first time we’ve gone over President’s Weekend and it was busy. Uncomfortably busy. Never fear, we used those Fast Passes and rode our favorite big rides: Snow White Mine Ride, Big Thunder Mountain, Test Track at Epcot, Toy Story Mania at Hollywood Studios and more. We discovered some new pleasures, too. When your husband doesn’t want to wait more than 20 minutes for anything and there are 8 billion people there for the long weekend, you get creative. We explored Tom Sawyer’s Island for a solid hour and enjoyed it. Plus, we viewed Mickey’s Philharmagic movie, which was fun. Neither of these lowly attractions make our to-do list when it’s less crowded. Since we go every January or February, I made reservations for the “Be Our Guest” restaurant back in August for every Saturday night from late January through February. That’s because reservations open 180 days out. 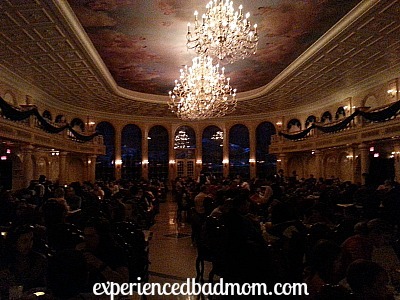 But Be Our Guest restaurant opened in December 2012 and it is ALWAYS booked. We’ve never snagged a reservation. So I planned ahead. I thought we got a bad table, pushed up against the back wall in the Grand Ballroom vs. in the middle under the chandeliers. Bummer. However, my daughter got a clear view of the Beast waiting to greet diners in the library so she was in heaven. My bad table thoughts vanished! The food was excellent, too. This year there were a few unique memories. I will always remember my tween calling out “High Ho!” in the hotel stairwell. Even when we told him to stop. It got to be so annoying it was funny. And why did he call out, “High Ho!” so often? Yeah. 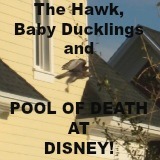 This was the same kid who found the Disney Ducks more fascinating than any rides when he was a toddler. 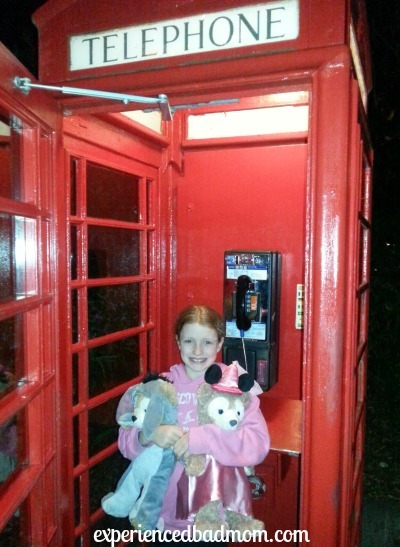 I’ll also remember how my daughter, 9, took her Disney bears, Duffy and Shellie May, to see the Epcot fireworks. She lugged them around the World Showcase without complaint and made sure they had a good view. It was too cute. 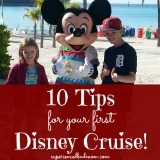 Do you enjoy Disney vacations? What’s one of your favorite Disney memories? Looking for more posts about Disney and Disney World? AW! That looks like SO MUCH FUN!!! I love that you guys do this every year! We have never been. 🙁 I am living vicariously through you, my friend!! Mo! LOL! I have to tell you I thought of you when we were dining at Coral Reef and I had the most excellent Riesling with my Mahi Mahi. I was the not the knowledgeable one who picked the perfect wine to compliment my dish – it was simply the suggestion on the menu. But it was the PERFECT match (so delicious) and I thought you would approve. I would have felt the same about the delightful back to the wall positioning of your table, Katy. How special that your daughter was able to get a sneak peak of the Beast – her grin must have made it all ok. I remember touring the governor general’s house in Ottawa when my two were 5 and 6. It was so hot we went outside to tour the grounds and in Just TypiKel fashion ambled out of bounds. Came to a steep cliff, looked down and could see the guard house where the GG’s guards (they look just like the British went while off duty. My grumpy children were thrilled to see one of them smoking and with his busby hat laying beside him on the bench. Glad you survived the 8 billion people and discovered the real nationality of the Swiss Family Robinson. Sounds like you had a great time. We did, thanks! It was close about the Swiss Family Robinson, too. That’s why mommy shouldn’t climb trees at 10pm in a different state than the one she woke up in! Great idea! I don’t miss those stroller days at all. Thanks for stopping by! 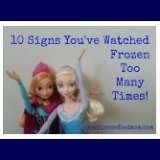 I’ve only been to Disney World once and it was the most magical experience! I cannot wait to visit again. 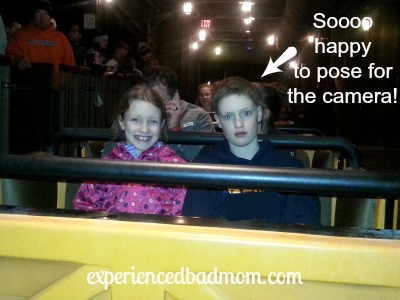 We used FastPasses too, and I would only recommend going to Disney with the FastPasses, they are awesome. We did not get to be anyone’s guest… most of the character dinners or breakfasts were booked. 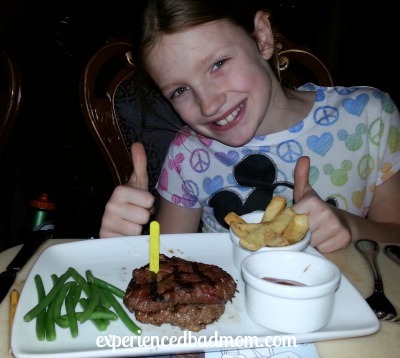 🙁 We did eat at: Biergarten Restaurant, Liberty Tree Tavern, The Wave Lounge, I’m forgetting a few… and of course we snacked throughout the park especially at Epcot! Ooo, you hit some great restaurants! The character meals are fun, but if you saw the characters around the park that’s probably better (and less pricey..;) ). I love Epcot – this year I tried lots of candy from the gift shops of the different countries which was interesting and usually tasty. As I replied to Tiffany, thanks for making MMBH the best place to link up! We love Disney Vacations…even though we’ve only had 1 so far!! We hope to plan our next within the next 2 years and I can’t wait!! We wanted to get the the Beauty & The Beast dinner so bad but couldn’t snag a reservation so I definitely plan on planning ahead next time!! It looks like any table is a great table…thanks so much for sharing with us at the Mommy Monday Blog Hop!! Yes, make your reservation for Be Our Guest early! Our table turned out just right, that’s true. Thanks for making MMBH the best place to link up! I am totally one of those Floridians in a coat that you laugh at! Glad you had fun and thanks for joining us at #FridayFrivolity! It’s all what we’re acclimated to, isn’t it? I grew up in Arizona and California and have to laugh every time it goes higher than 85 degrees here–people stay inside because it’s too hot!! Looks like you had a lot of fun. Thanks for sharing on #FridayFrivolity. I hope you will join us again next week.